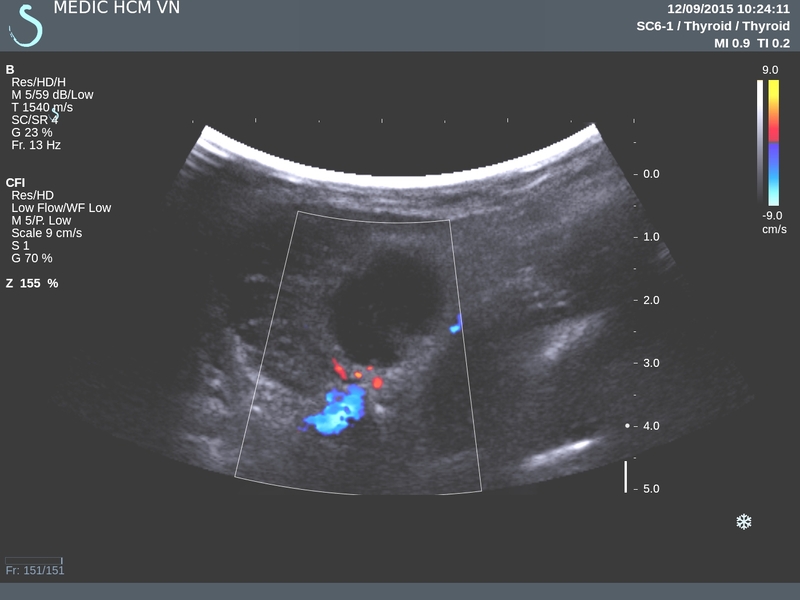 Man 52 yo, fever unknown origine for 3 months, blood tests: nothing abnormal detected. 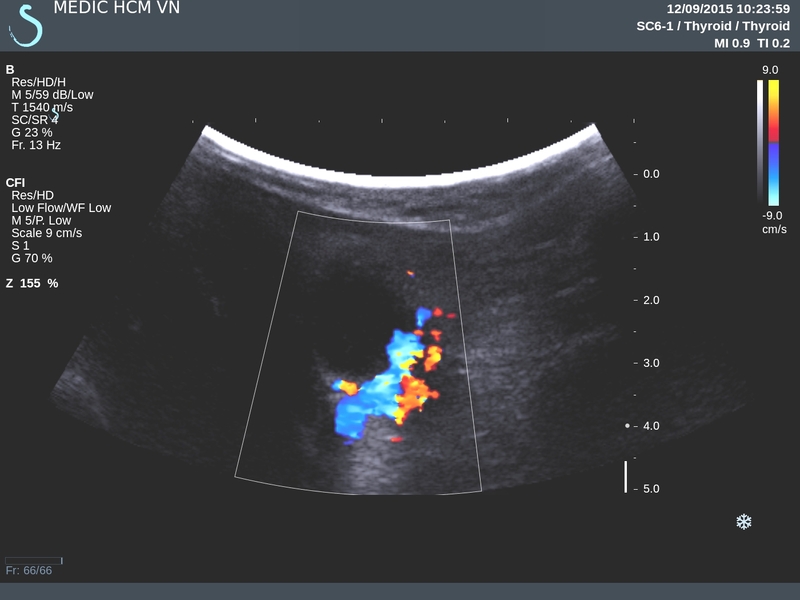 MSCT scan of full body detected a small nodule on right lung, size of 1 cm with some pericarena lymph nodes enhanced with CE and one subcutaneous mass of 3 cm in the back of left neck (CT lung images). 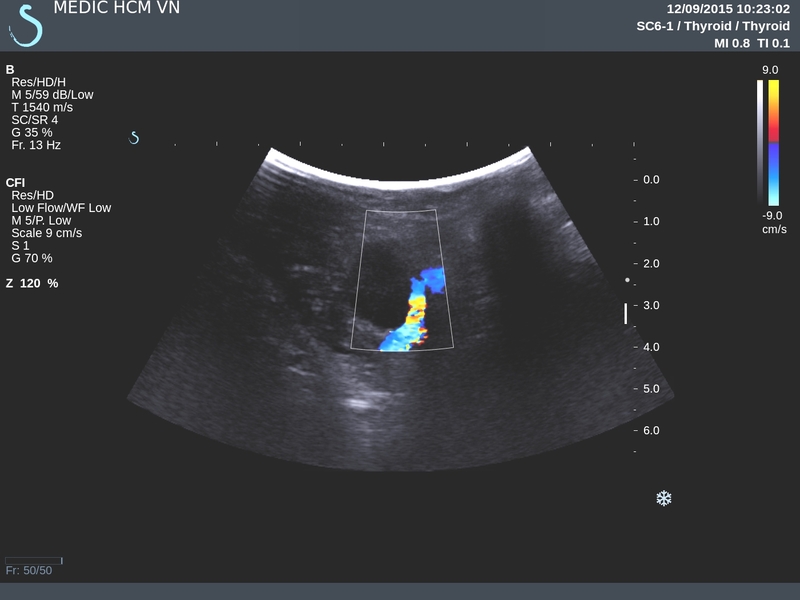 Ultrasound of this mass revealed round border, very hypoechoic, nonvascular filling intramass, no posterior enhancement, no sister mass together ( see 3 US images and video clip). 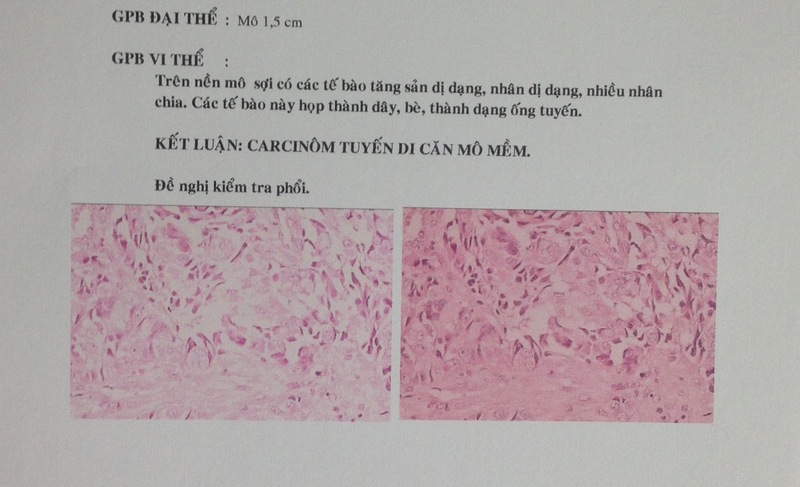 Biopsy was done for this mass and microscopy result was adenocarcinoma metastasis from the lung. 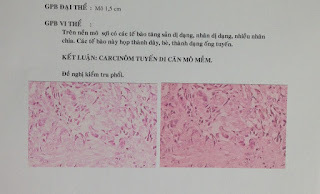 Discussion: Clinical onset is fever unknown origine, CT lung detected small spicular nodule , pericarena nodes and the patient himself detected one subcutaneous mass at posterior of his left neck; biopsy of this mass made diagnosis of metastasis from lung cancer which is small cell lung cancer. 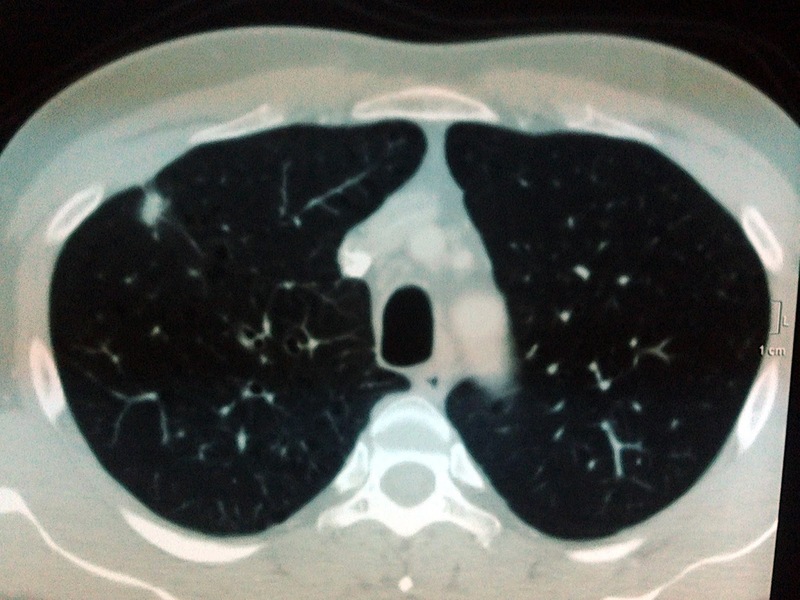 Conclusion = Small lung cancer metastasis to skin and paraneoplasic fever.